Refinery offgas streams, typically from a fluid catalytic cracker (FCC) or a delayed coking unit (DCU), are typically burned for heat or power within the refinery operation. However, these streams contain significant quantities of valuable components such as light olefins and natural gas liquids. Conventional approaches for extracting value from the offgas use complex and capital-intensive recovery systems to separate and purify the components. Installation of these systems requires significant downtime, which can adversely impact refinery operations. 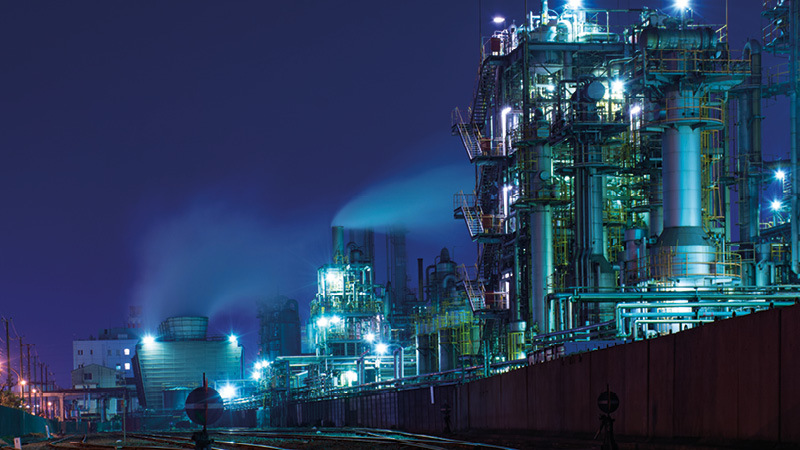 In addition, refiners are then forced to enter unfamiliar markets and develop supply chain solutions for these logistically challenging products. As a result, many refiners choose to burn the offgas as fuel, consuming a potentially high-value product for low value energy purposes. Jointly developed with Siluria Technologies (www.siluria.com), a leader in disruptive process technologies for the petrochemical and energy industries, Modus is an industry-first technology that converts refinery offgas components into high-value, fungible liquids that can easily be added to the sales pipeline. The technology offers a simple, low-cost and effective solution for maximising the value of the offgas streams and enhancing profitability. For example, a 200,000 bpd US Gulf Coast refinery configured with an 80,000 BPD nominal-feed FCC and a 50,000 BPD nominal-feed DCU, could enhance the refinery profits by $30 million to $35 million per year after installing Modus. The payback period is also short, between 1 to 2 years, making this an attractive investment. At the heart of Modus is a novel catalyst and reactor system that converts dilute quantities of light olefins (such as ethylene and propylene) in the offgas into high-octane, ultra-low sulfur gasoline blendstock and liquid petroleum gas (LPG). The Modus catalyst was specially designed for compatibility with offgas streams, without requiring extensive containment, pre-treatment or purification. Modus can be readily integrated into existing refinery operations with minimal capital investment and operating impact. Based on standard modular design and construction, Modus can be rapidly installed as a standalone upgrade during routine maintenance turnarounds or revamp projects. Modus also provides greater operational flexibility and the potential for reduced emissions, without disrupting refinery operations. For more information about Modus contact Daniel Carter, director of global consultancy in Wood’s Process Technology service: daniel.carter@woodplc.com or Andrew Aronson, corporate development at Sluria Technologies: a.aronson@siluriatech.com.